The Giorgio Armani 2010/2011 sunglasses collection exude elegance and class, with a hint of vintage appeal, perfect for the fall. While the styles are inspired by earlier collections, the detail and materials require the use of new technologies and innovative materials. These sunnies are perfect for ladies with a feminine, chic and sophisticated style. The decorative gem detail on the temple adds just enough bling for a sassy touch. The new gem design simulates the effect of diamonds thanks to a new and exclusive diamonding technique. 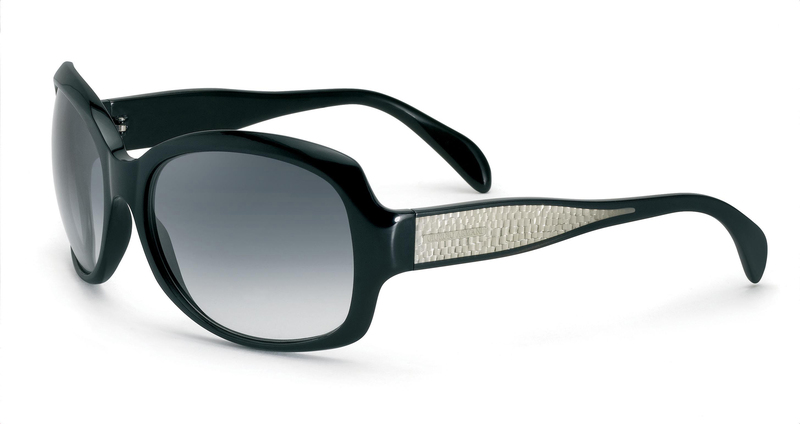 This frame revisits Giorgio Armani’s very first collection. The design is reminiscent of previous details and icons, like the bridge and metal rivets, but has a modern twist with the contemporary drop-shape.